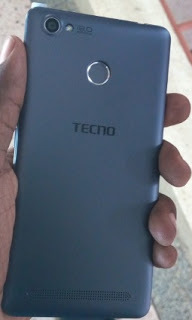 Tecno W5 Features, Specs and Price - The Tecno W5 also known as Tecno W5 4G LTE and its twin variant the Tecno W5 Lite are the the latest addition to the W series with both devices bearing a striking resemblance to their predecessor the Tecno W4, the difference between the two variants is the presence of Finger print sensor and of-course a fast 4G LTE on the Tecno w5. 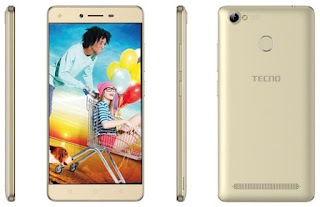 Tecno W5 features a poly-carbonate plastic body with metal frame with a finger print scanner. 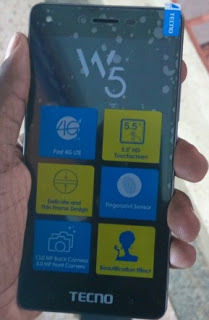 The smartphone measures 153.2 x 76.4 x 7.8mm. It is a mid-range smartphone featuring a 5.5 inch HD display with 720 x 1280 pixels screen resolution. its comes in the colors of black and white and Gold. It runs on Android 6.0 (Marshmallow) and is powered by a non-removable 3000 mAh battery guice. The smartphone also features a 13MP primary camera with LED flash and a 5 MP secondary camera with flash, this makes it possible to capture amazing selfies even in poor light conditions. 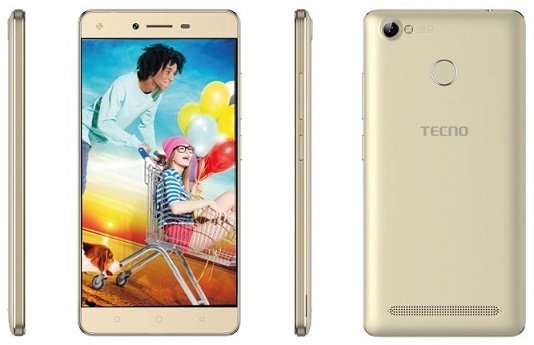 In terms of performance, the Tecno W5 is powered by a 1.3GHz MediaTek Quad Core processor. The smartphone also comes with 1GB RAM and an internal storage memory of 16GB which can be expanded up to 64GB with the use of a microSD card. The W5 supports dual SIM functionality with 4G LTE capability for maximum speed (i thinks that how the Tecno W5 4G LTE name was coined). Also with connectivity options which includes GPS, WiFi, Bluetooth, with sensors which include Finger Print, Accelerometer, Proximity and Compass. 3G: HSDPA 900 /1900/ 2100. 4G: LTE 3(1800) / 7(2600) / 20(800). Body: Poly-carbonate Plastic with Metal Frame. Dimension: 153.2 X 76.4 X 7.8 mm. Colors: Midnight Black, Pearl White, Champagne Gold. Screen Resolution: 720 x 1280 pixels.16,000,000 Colors. Android version: Android 6.0 Marshmallow. Processor Speed: Quad Core 1.3GHz Cortex-A53. SD card Slot: Yes, support up to 64GB. Wi-Fi: WI Fi 802.11 b/g/n, Wi-Fi direct, hotspot. Video: H.263, H.264, MP4, MPEG4. Battery Capacity- 3000mAh Non-Removable Battery. The phone comes with a fingerprint scanner, impressive! How does the camera work biko? just got the phone but sometimes unable to take pic as the camera wont respond after several clicks.. I think im probably not doing something right..
Bought mine two days ago. I'm enjoying it. Crystal clear screen. Amazing selfies even in the darkest dark and lovely fingerprint scanner to snap photos and unlock device. Bought mine two days ago. I'm enjoying it. Crystal clear HD screen. Amazing selfies even in the darkest of the dark and lovely fingerprint scanner, you can use it to snap your selfies and to unlock your device. Bought mine #46500 at Ibadan. Please, the model you got for that amount, how many GB RAM does it ship with? It's 1 gig Ram. Quad-core processor and a 4g lte phone. Other ones I saw was very expensive 2gig Ram with 4glte is heading to 70k upwards. Except you don't care about a 4g lte phones. Then 2gig Ram with 3g network might be cheaper. I saw a gionee with 4glte 2gig Ram but no finger print and as a smaller screen than Tecno w5 At 44k so I made my choice for w5 I'll name the 1gig Ram. Wonderful tecno is trying gradually these days but infinix is not relenting either. Latest Smartphone been pushed out with good specs. Sure Bro, i think Both OEMs realy mean business this time.